Pictured, from left to right, are Jo Dowdeswell (Enabling Spaces), Amy Rogers (Rural Innovation Centre), Yvonne Singleton (Enabling Spaces) and Liz Burkinshaw (Rural Innovation Centre). A pioneering social enterprise dedicated to the treatment of individuals across the West Midlands who compulsively hoard has moved into its first offices after outgrowing its home headquarters. Enabling Spaces CIC was established in 2017 by specialist occupational therapists Yvonne Singleton and Jo Dowdeswell, after a hoarding service they had piloted with a social housing landlord in Coventry folded due to funding. They had developed a new way of tackling hoarding, using their occupational therapy skills to take a psychological as well as practical approach. It is client-centred and focuses on understanding the causes before addressing the issues, with the aim of a lasting solution. 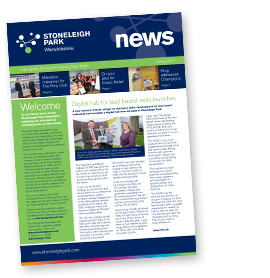 A year after launching the community interest company from their homes and faced with an increasing waiting list of referrals, they decided to set up a head office within the Rural Innovation Centre at Stoneleigh Park in Warwickshire. The move follows recent recognition by the World Health Organisation of hoarding disorder, which is commonly perceived to be a lifestyle choice, as a mental health condition. Research suggests that between two and five per cent of the population in the western world are affected by hoarding, which Enabling Spaces says equates to up to 17,000 households in Coventry alone. They are contracted with Coventry City Council and NHS Coventry and Rugby Clinical Commissioning Group to support individuals in the city who hoard, and take other private as well as professional referrals from the wider West Midlands and beyond. A typical response to compulsive hoarding has been to go in to the house to do a big clean and walk away, but that can leave the person traumatised and is often ineffective as it doesn’t address the reasons behind the behaviour. It is a mental health disorder and has to be treated sensitively and with compassion. They are always surprised when the first thing we ask is how we can help. It can take months for us to build up a relationship and gain their trust before actually doing anything to support them in getting to where they want to be and turning their house back into a home. The results can be life-changing. It is very rare that hoarding happens in isolation. It could be linked to other mental health disorders or caused by a traumatic event which triggers the need to hold onto things and create a floor-to-ceiling protective barrier, and their house descends into chaos. We had one lady whose house had been cleared five times. It was a revolving door and she kept going back to where she had started. We see ourselves as the stop gap. They say the impact of hoarding is far-reaching with cost implications for the NHS and local authorities, as well as having an effect on family members and the local community. We took a leap of faith when we set up on our own but we wanted the service to carry on as we knew how much it was needed. We were growing at such a rate that we needed an office base and the Rural Innovation Centre was ideal. We also provide hoarding awareness training for other professionals working in this area, and plan to set up new services in the future. The Rural Innovation Centre is designed to provide the environment for small enterprises to grow and flourish, and we look forward to supporting Enabling Spaces in expanding a much-needed service.